YES!!! Finally, the pile of books this author set out to review last year is DONE!!! Whoo-hoo! It has been some time since I read The Tale of Despereaux, by Kate DiCamillo, in full. However, that has not dimmed my love for this wonderful book. 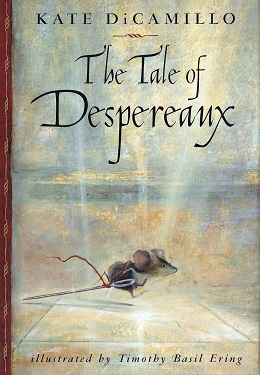 Despereaux is one of the best children’s stories ever written. Ms. DiCamillo is a truly good writer who is well-respected in the field, as shown by Dean Koontz’ many allusions to her novels (including this one) in his stories. They appear to agree on many things and seem to see life through a similar lens, which means that if you like the one, you may enjoy the other. Within the walls of a castle in a far away land, Despereaux Tilling is the only surviving mouse in his litter. Born to Antoinette and Lester Tilling, the rest of his litter died at birth. Disappointed by this and how the stresses of giving birth keep ruining her beauty, Antoinette declares she will have no more babies. 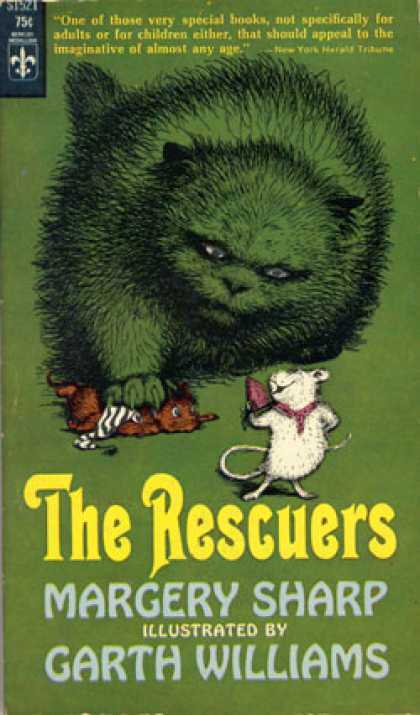 Staring at Despereaux, Lester Tilling sighs and states that he will be the last and that he will die soon, just like the others. The reason he says this? Despereaux is an unnaturally small mouse. With the exception of his ears, this infant mouse is extremely tiny. But his ears are huge, much like Dumbo’s were. More disturbing to his father, this last son was born with his eyes open. On top of this, instead of dying, the little mouse lives. Though he hardly grows any bigger and becomes ill easily, Despereaux keeps on living happily in the castle. Others, however, are not pleased with the youngest of the Tilling offspring. This is due almost entirely to the fact that Despereaux does not act at all like a proper mouse. He does not scurry, search for crumbs, or fear anything or anyone within the castle. Instead he stares at light streaming through the windows and listens to a music none of the other mice seem to hear. And then things go from bad to worse. Despereaux learns to read in lew of chewing up and eating the glue in the books in the castle library. 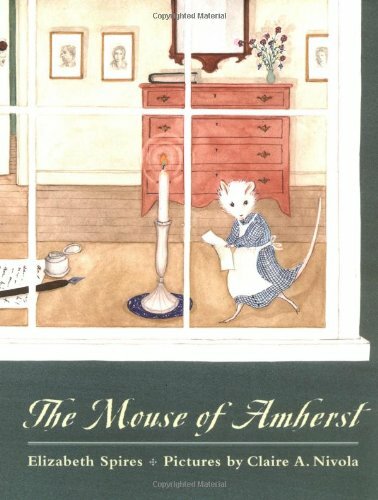 How he learns is a mystery; when his older sister takes him to the library to start chewing up the books, Despereaux looks at the open volume she wants him to start on and read the first line aloud. He finds the story in the book enthralling. It is about a knight rescuing a fair princess and goes back to read it every single day after his older siblings give up trying to teach him how to be a proper mouse. Although this is decidedly odd behavior for a mouse, his family leaves him to it. This allows him to spend the hours he is not reading exploring the world of the castle or staring at light streaming through windows. In between readings and wanderings, Despereaux discovers the sound he is hearing is music. The music is played by the king for his daughter, the Princess Pea. Going to a crack in the wall of her room, Despereaux listens to the music from the hole. Then he sticks his head through the hole. Then his front legs, and so on, until he is right in the room at the foot of the king, where the princess sees him. Now the Princess Pea has her own story. A few years ago her mother died. This was due to shock. Arat, Chiaroscuro (Roscuro for short), from the castle dungeon snuck into the chandelier above the banquet hall and accidentally fell in the queen’s soup. Seeing him, the queen was so astonished that she could only say, “There is a rat in my soup,” before fainting and falling face first into said soup. That is where she died. Following this sad event, the king outlawed rats, soup, and spoons to assuage his grief. His and the castle staff’s only solace now is the Princess Pea, to whom the king is singing and with whom Despereaux has fallen in love. Pea wants to have soup back in the kingdom just like everyone else, but she is still too sad over her mother’s death to do anything about changing her father’s mind in that regard at the moment. Meanwhile, stuck in the dungeon below the castle, Roscuro is plotting his revenge on the princess for having him banished. Unlike most rats, Roscuro has a great love of light and beauty. Seeing the princess glaring at him after her mother’s death broke his heart, and now he wants to get back at her and everyone else in the castle. What does all of this have to do with poor Despereaux? Unknown to him, he has not met the princess unobserved. One of his older brothers sees the princess touch Despereaux on the nose. Convinced he is, at least, a goner, this brother reports everything he has witnessed to the council of mice that run the mouse community in the castle. So now you can imagine how they react to Despereaux’s declaration of undying love for the Princess Pea, can’t you, readers? Ah, ah, ah! Those are all the spoilers that you are going to get! I’ve given too much of the story away as it is. If you want to know more, borrow or buy The Tale of Despereaux today. Worth its purchase price many times over, this is a book no shelf should be lacking! This entry was posted in Book Reviews, Youth Books and tagged Book Reviews, books, books for children, fantasy books, fantasy books for children, fantasy novels, Kate DiCamillo, knight, Knightly Virtue, Knights in shining armor, mice, Modern children's books, novel, The Tale of Despereaux, Youth Books on January 25, 2019 by The Mithril Guardian.